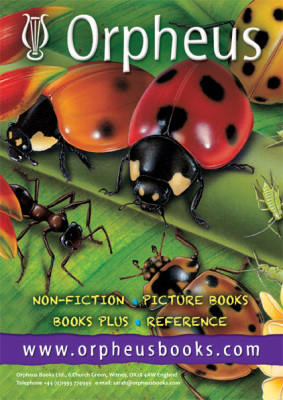 Orpheus Books are creators and producers of high-quality illustrated books for children ages 4-12. Specialists in the international co-editions market, we create books featuring innovative concepts, interactive formats, rich content and very high-quality illustrations. On our website, you can browse through our published titles or, alternatively, please download our latest catalogue. If you would like to read more about us please click here . Orpheus Books has launched a children's online library of knowledge: Q-files.com . Q-files provides in-depth information for classroom and personal use, and includes a wealth of photos, illustrations, diagrams and videos. Aimed at 7-14 year-olds, the advert-free site covers a comprehensive range of subjects, including Science, Technology, Geography, History and the Arts. All KS2 and KS3 (and by early 2019, KS1) topics in the UK National Curriculum are covered. Every page has been carefully verified by experts. Click here to find out more information about Q-files.com.